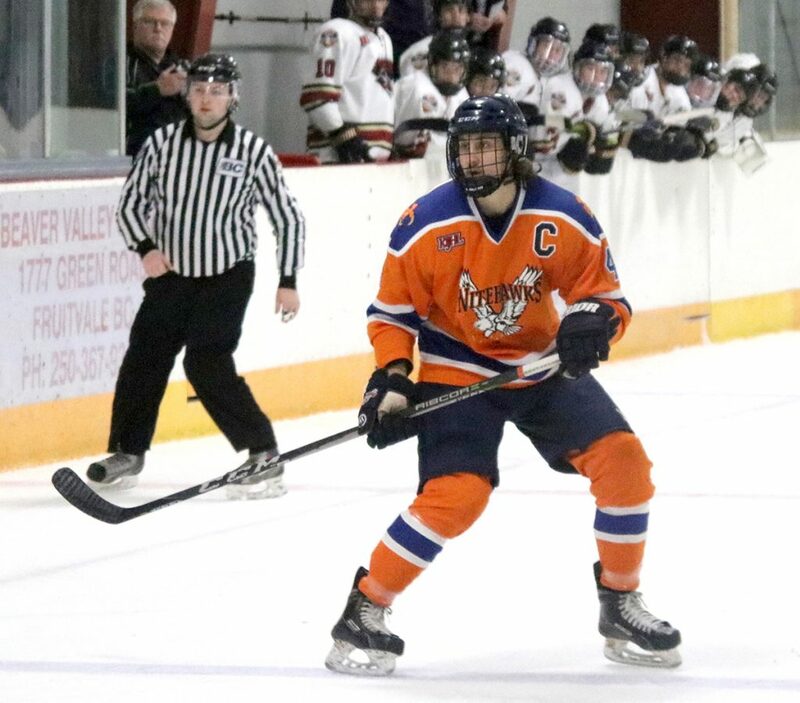 The Beaver Valley Nitehawks closed out their season on a roll, winning its fifth game in a row on Sunday to gain momentum heading into the first round of playoffs tonight (Wednesday) at the Hawks’ Nest. 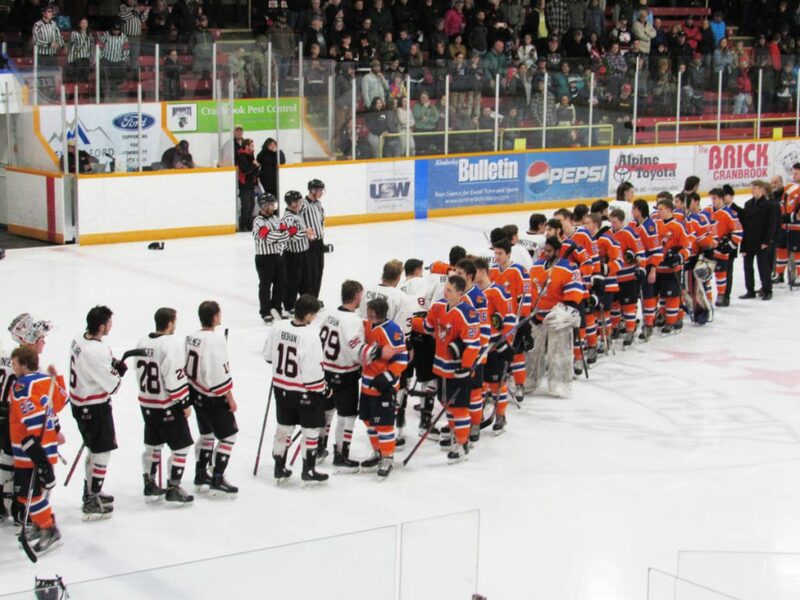 The Nitehawks won its final three games on the road this weekend starting with a 5-3 victory over Castlegar Rebels on Friday night, a 5-2 win over the Creston Valley Thundercats Saturday, and a 3-1 win over the Spokane Braves Sunday. 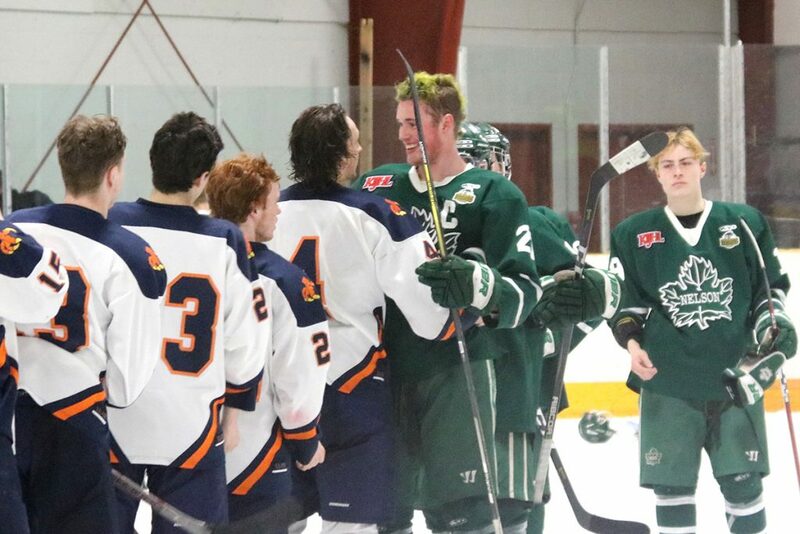 Beaver Valley finishes the season at 27-17-3-2, good for second place in the Neil Murdoch Division, and will face the third-seeded Grand Forks Border Bruins in the first round of playoffs. The team has faced its share of obstacles in the past month with recent injuries to co-captain Jake Yuris, Angus Amadio, Ryan Crisalli, Nate Ingram, Luke Recchi, Saran Virdee, and Jesse Ihas. In the Nitehawks final game of the regular season on Sunday, affiliate player Jaxson Waterstreet scored the game-winning goal at 11:51 of the third period to put the Hawks up 2-0 on assists from Nathan Ingram and Bradley Ross. The Nitehawks and Braves played two periods of scoreless hockey with Nitehawks goalie Virdee and Braves netminder Ben Waslaski standing on their respective heads as B.V. held a slight 26-24 edge in shots on goal. But Fruitvale native and another AP, Zackary Park, broke the goose egg, finishing a setup from Simon Nemethy and Jarred Macasso for a 1-0 lead 5:22 into the third period. After Waterstreet made it 2-0, the Braves Alex Enegren beat Virdee with 2:24 to play, ruining a bid for his first KIJHL shutout. With 1:58 to play, B.V.’s Macasso was sent off for interference, but the defence held and Hawks forward Paul Leroux added an empty netter 13 seconds before the buzzer sounded for the 3-1 final. B.V. outshot the Braves 35-34 and were 0-for-1 on the power play and 2-for-2 on the penalty kill. 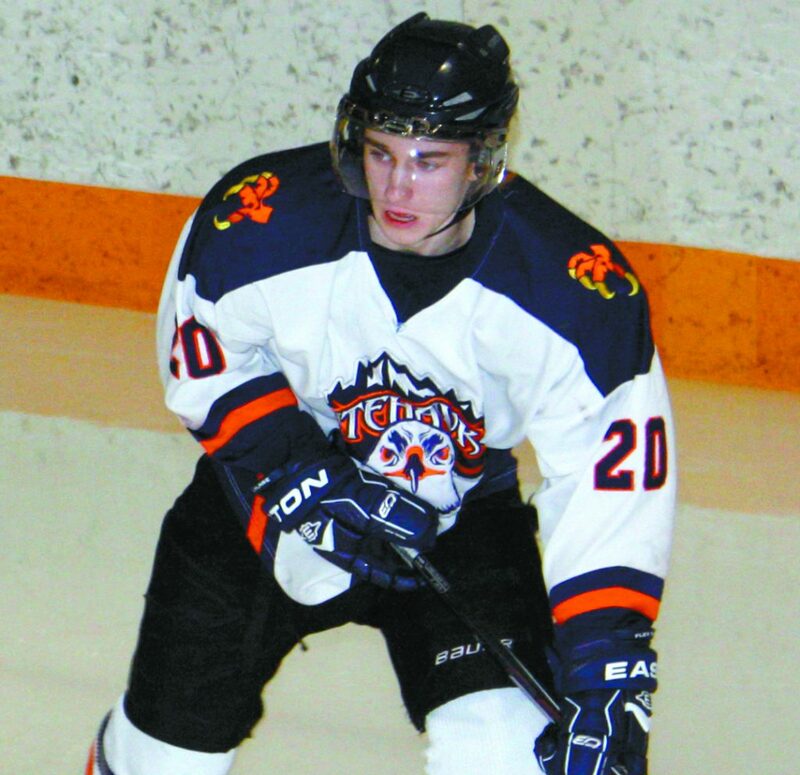 The Nitehawks power play was clicking on Saturday as the Hawks scored three power-play goals en route to a 5-2 win over Creston. Jared Stocks and Michael Hagen scored twice for Beaver Valley with Ross pitching in with his 27th of the season. Hawks goalie Noah Decottignies stopped 32 shots to earn his 19th win of the season. On Friday night against Castlegar, Hagen was named the Away Star scoring the game-winning goal and adding an assist in the 5-3 victory. Ross scored twice, while Kevin Duguid and Leroux added singles. Nolan Corrado and Kody Stewart had two helpers each for the Nitehawks. The win-streak comes at a good time, heading into what will be a tough playoff match up against Grand Forks. The Border Bruins also finished strong, winning its final four games that included a 4-1 victory over the Murdoch Division leading Nelson Leafs on Friday. The Nitehawks are the least penalized team in the league, yet took the greater share of penalties in their final five games against the Bruins. B.V. gave Grand Forks 27 extra-man opportunities and the Bruins scored four times, while the Hawks scored just once on 24 power plays. 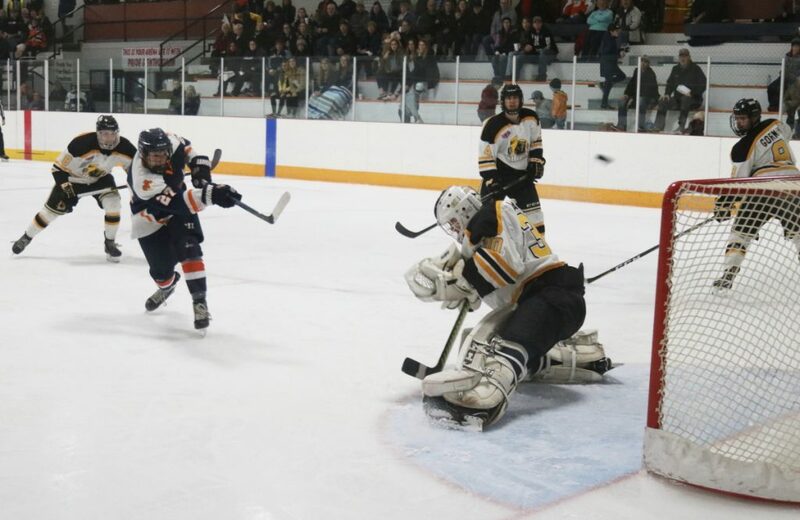 The Bruins own the fourth best power play in the KIJHL with a 21.05 success rate, and are 82 per cent on the penalty kill, with a league second-best 12 short-handed goals. The Nitehawks have the ninth best power play at 16.44 per cent and are 17th on the PK at 80.39 per cent. B.V. split their six-game season series with the Bruins and will have to contend with a physical and skilled lineup led by former Nitehawk defenceman Evan Gorman, the Border Bruins captain, and top players Zane Avery, 20 goals and 64 points, Josh Garlough-Bell (30-17-47), and Nathan Cohen Wallis (24-19-43). The three players racked up a combined 406 penalty minutes, compared to the Nitehawks top three, Leroux (22-35-57), Hagen (15-39-54), and Crisalli (24-25-49), with 90 pims collectively. On the plus side, B.V. has a more well-rounded offence with 10 players counting 20 or more points, while Grand Forks has just five. And in between the pipes, the duo of Virdee (2.62 GAA and a .901 SP) and Noah Decottignies (2.71 GAA, .907 SP) boast significantly better numbers than the Bruins’ tandem of Ross King (3.67 GAA .906 SP) and Holden King (4.85 GAA and .874 SP). Most recently, the Border Bruins have held the upper hand with 3-1 and 4-1 wins last month to close out their series, and B.V. will play it’s fourth game in six days on Wednesday. Nevertheless, it’s a new season, and the Nitehawks look to ride their momentum into the next round. In the other division match up, the Leafs started their series against fourth-seed Spokane Braves on Tuesday, while in the Eddie Mountain Division, Kimberley opens against the Golden Rockets, and Columbia Valley plays the Fernie Ghostriders. Games 1 and 2 go at the B.V. Arena on Wednesday and Thursday at 7 p.m. with Game 3 in Grand Forks on Saturday.